About Us ~ Tech Charisma--Your Own Technical Hub. All About Tech Charisma -- Your Own Technical Hub !! We at Tech Charisma believe in propelling Knowledge through this Vast Information Technology Medium , i.e, Internet and Modern day Computing Systems. 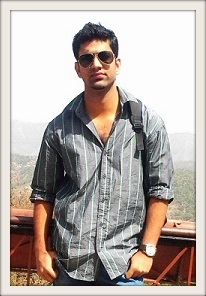 Tech Charisma was Developed by Vinay Mahajan , an Engineer (Information Technology) from Beant College of Engg. & Technology in October 2011. Earlier Tech Charisma was a Popular name on the Social Networking Site Facebook as merely a Facebook Page. Within 6 Months of its creation, Tech Charisma got pretty positive response as a Tech Page where Latest Technical news , Tricks , Updates etc.. were Published. Apart from this Tech Charisma was also famed with its helpful approach to Query Solving needs of the fans on its Facebook Page. Various in Hands Reviews and Details of the Tech Gadgets were made available to our Facebook fans and another Administrator of Tech Charisma Maninder Pal Singh also Contributed a lot in the Page's Success. With the Continue appraisal from everywhere , Tech Charisma emerged as a Top Blog on the Internet World with the Name Tech Charisma -- Your Own Technical Hub !! Now Tech Charisma blog has over thousands of Subscribers and many satisfied visitors. Tech Charisma is looking to expand its wings in the IT sector to include much more in its Web Presence. We believe in Charisma and the Capabilities we have , that is why we are Tech Charisma -- Your Own Technical Hub .